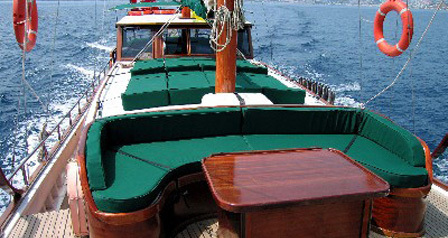 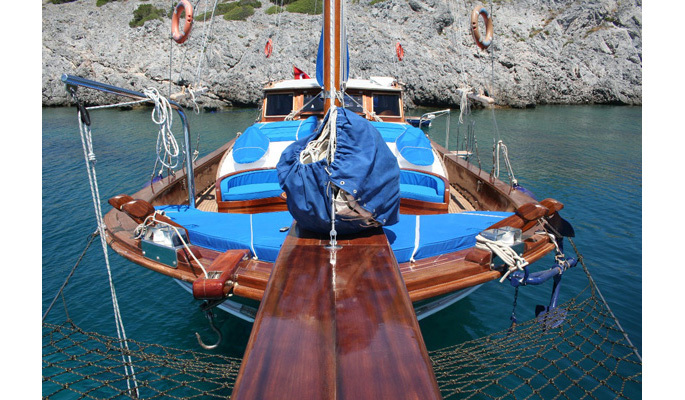 Our diverse portfolio of traditional Turkish gulets ranges from high end luxury to a good standard economic yacht. 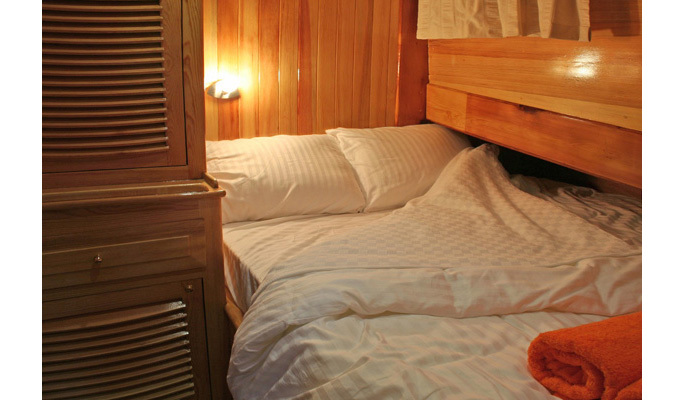 Our minimum guest capacity is 4, while our largest boats comfortably accommodate up to 24 guests in 12 cabins. 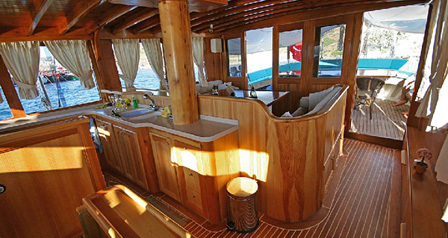 All of our yachts are fully crewed with captain, deckhand/s and chef providing a friendly, experienced and professional service and delicious food. 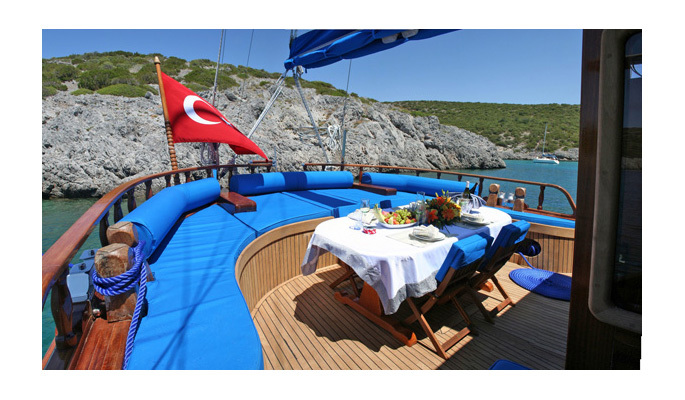 SJ private yacht charter takes you on the Blue Cruise of a lifetime discovering remote bays of breathtaking beauty, pretty harbours, and lively 5 star marina towns along the historical and world famous coastlines of south western Turkey and the Greek Dodecanese Islands. 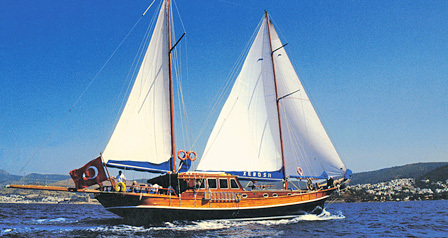 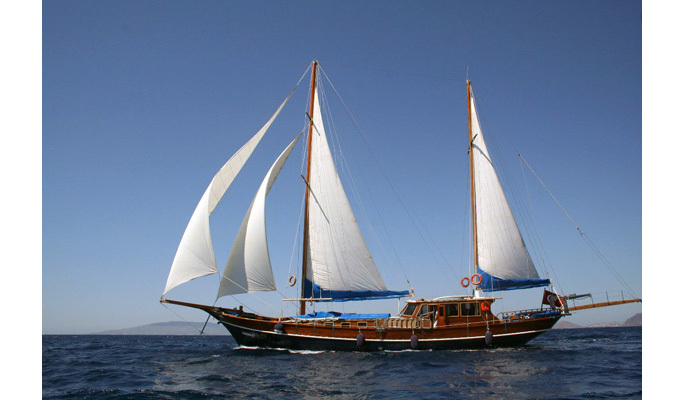 GEMIBASI is a traditional Turkish sailing gulet with a rounded stern which always looks and feels brand new. 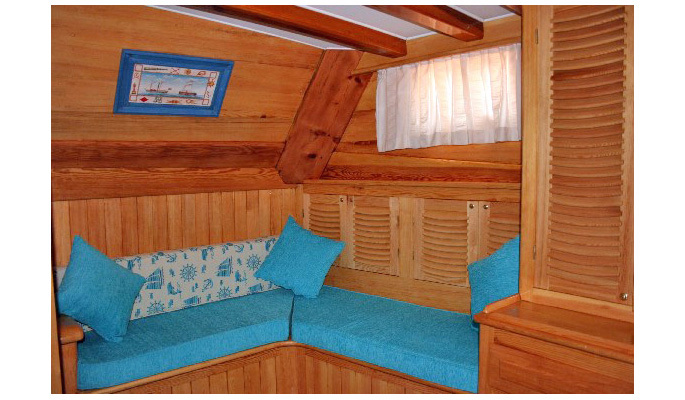 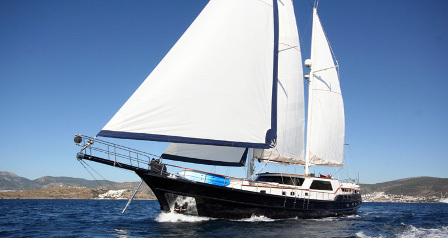 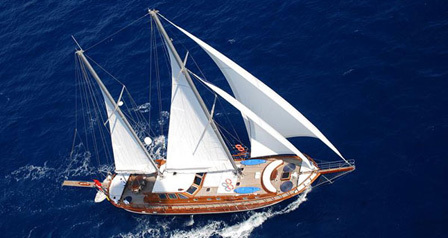 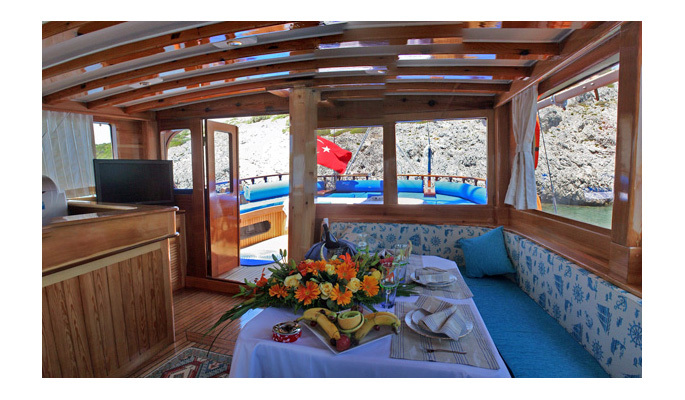 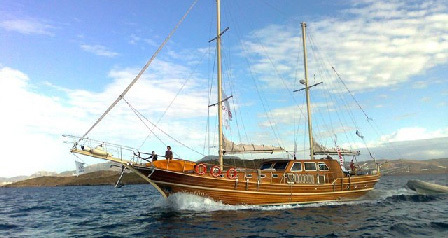 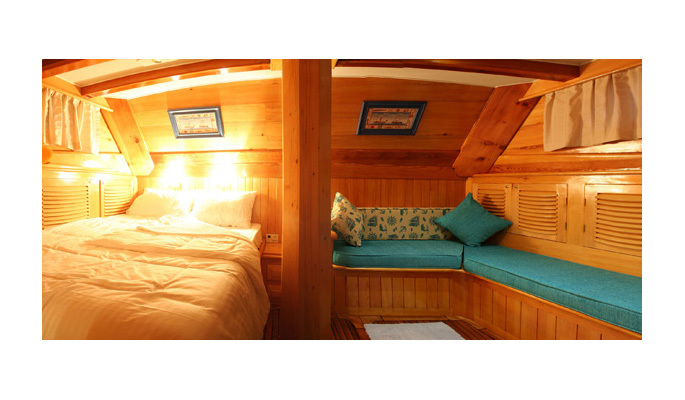 This elegant gulet has 1 master cabin with a sofa and 3 double cabins (1 with an upper bunk). 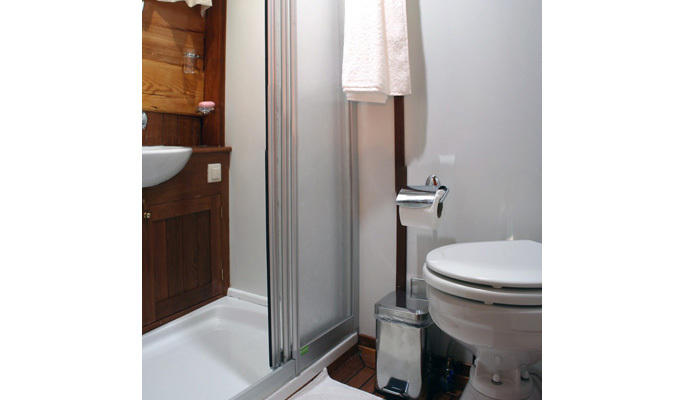 The en suite bathrooms have electric W/C, washbasin and shower. 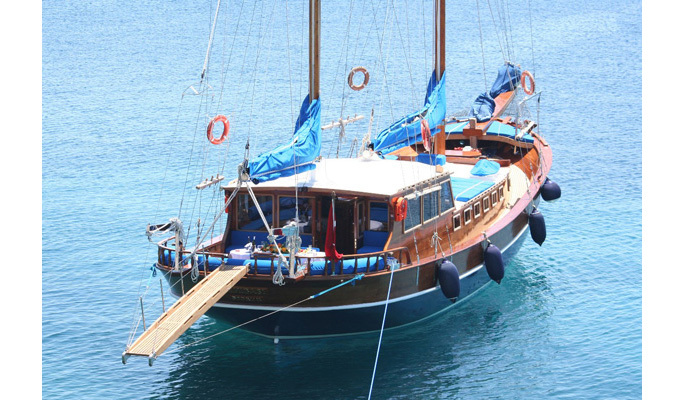 For smaller groups who would like a little bit of luxury on their gulet holiday GEMIBASI fits the bill at an affordable price, and for a private honeymoon yacht charter it's a great choice. 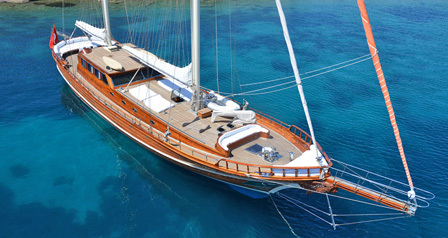 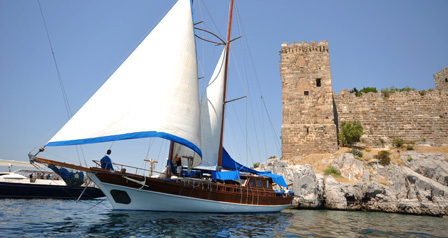 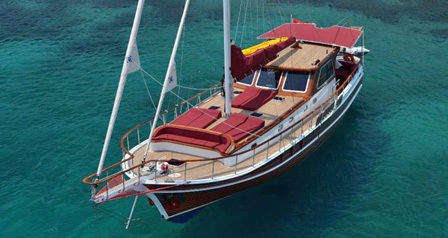 Please contact us for our full portfolio of gulet yachts for private charter in Turkey.